After a five hour journey, which we spent dozing in our seats and listening to music, we reached Cardiff University. 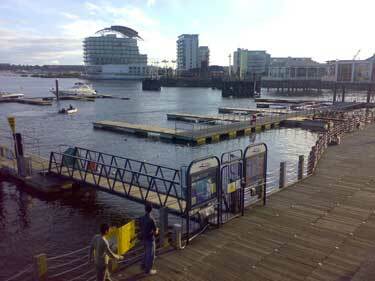 The first impression I got of Cardiff was a very pleasant one. It was sunny with sea gulls flying around the area cawing. The air smelled fresh and clean; typical of areas near any sea. We took our bag(s) off the hired bus and walked with them to the reception where we were given keys for our rooms. For the duration of the journey, we were given rooms in the Senghennydd Hall. We deposited our bags in our rooms and decided to explore the area after freshening up since our schedule was clear for the day. 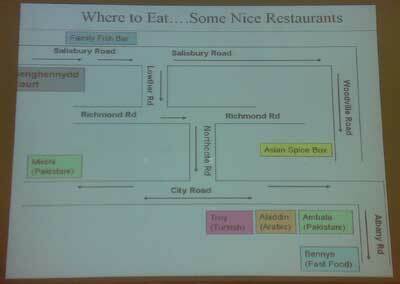 Maps were provided to us and we made a trip to Queen Street in the City Centre near the university. It was a seven to ten minute walk away from our residence. The street was full of people enjoying the day and going around shopping. 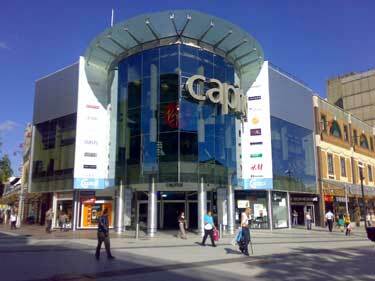 Shops lined both sides of the street and as had been the case at the City Centre at Leeds, the senior students accompanying me made a beeline towards Next and other stores around it. I was quickly bored with their activities and visited other shops in and around the area. We also saw the Cardiff Castle from outside since visiting times were over. We took a bus to Red Dragon City and I was surprised to see that Harry Potter and Order of the Phoenix film was being shown that day. I guess I totally forgot about my interest in the Harry Potter related stuff due to the trip! I got the schedule for Odeon but wasn't able to see the movie there since it was getting late. We further went to the bay and saw plenty of interesting buildings in the way. It was a fun day and my feet were sore by the time we made it back to Senghennydd Hall. We went out for dinner and being tired, I went to sleep in anticipation of the next day when we were supposed to start the official schedule. The nearby Church bells tolled at various intervals throughout the night which was rather pleasant. Compared to the bells I heard in other Churches later on, the bells I heard near Senghennydd Hall were positively heavenly! A couple places to get a bite. I hope the above picture would be helpful to any visitor who doesn't gets that particular presentation. Most of the nights, we went out to these or other similar places to get a bite. We were then taken to different labs including the Grid lab, Electronics lab, Multimedia lab, etc. Since the university is situated inside the city, there is a lot of tourist stuff around and you get to see a lot of interesting things. Once we got done with the official stuff, we again went out and had fun in Queen Street. Indeed, during our stay, Queen Street became the ideal place to hangout and get to know the city and the people. The next day, we visited the students' union, various sports facilities and other departments. The only thing which I personally think is worth mentioning is the visit to the Cardiff Business School which we wee told was rated amongst the top ten business schools in UK. The person there gave us a vary convincing talk. However, the fees and other expenses for courses from that school were about 31 lakh rupees in Pakistani currency (or ~US$51,000). That's a hell of a lot of amount of money for a degree. I think it is better to go to renowned institutes in Pakistan instead, such as LUMS and IBA which are very well known and comparatively cheaper. Their graduates are also very much in demand in Pakistan. After the business school, we visited the law school. Frankly speaking, overall, I didn't found anything to catch my interest academics wise except for the business school. Having previously visited University of Leeds, most courses at University of Cardiff seemed downright average in terms of research and general activity. Since it was Friday, we tried searching for a Mosque to offer Friday prayers but learned that a nearby mosque was burned down due to some rivalry. That, if true, is rather petty and disgraceful of the people who allowed it to happen. Unfortunately, by the time we found the Mosque with the help of a Pakistani student who had recently graduated from the law school, the prayers were over and we instead just offered Zuhr prayers. One of the highlights of the day after the prayers was the university sponsored trip to the Millennium Stadium. I thoroughly enjoyed the commentary by our guide. We looked at the various enclosures including that of the Queen and were even told where her bodyguards sat. It is an impressive structure in that it is situated smack dab in the middle of the city. One of the things I liked about Cardiff (and Wales in general), was the pride that the people feel in their language. The majority of notices were written in Welsh with an English translation underneath. It showed off the language while not being an annoyance since the English translations were conveniently provided. After the trip ended, the two representatives from the university who were accompanying us, left us to our own antics. We decided to go watch a movie and headed off to Vue which was nearby. 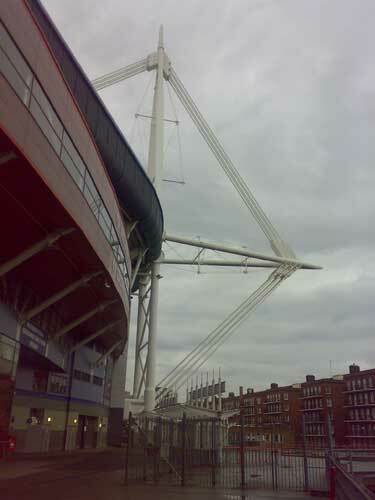 In fact, it was just a short walk to the other side of the Millennium Stadium. "Die hard 4" and "Harry Potter and the Order of The Phoenix" shows were available amongst others. Since the faculty member who was accompanying us is a huge fan of the Die Hard films, he made us all get tickets for the same film despite my meagre objections. Nevertheless, it was somewhat enjoyable. After we finished with Die Hard 4, I got permission from the accompanying faculty member to stay and watch the Harry Potter film too. He was a bit hesitant at first but relented. I got my wish to watch the movie which I was itching to go see! 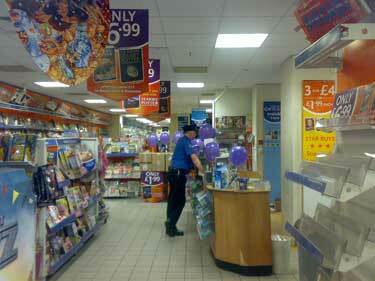 However, before I got the ticket, I headed off to W.H.Smith, a bookshop, in Queen Street. Since it was the 20th of July, the last book of the Harry Potter series was to be released at midnight and I wanted to pre-order my copy so that I could pick it up after the movie. I was there the day before too but didn't pre-order a copy since I didn't knew for sure if I would be coming back the next day. Unfortunately, the shop was closed. I wandered around looking at other bookshops near Queen Street but all were closed including those near Vue. The long walk in my quest to find an open bookshop bore no fruit and in the end, I had to return to Vue at the risk of missing the Harry Potter and The Order of the Phoenix show. My only option to wait in the queue at midnight and get a copy then. I enjoyed the movie quite a bit. Most of the other people watching the movie had brought their kids and it was quite amusing seeing them ooh and aah at times. Even the adults snickered occasionally. I think the movie was worth the money I paid for it [which included student discounts - my university id card got me discounts in Vue for both films]. The best part of the movie, in my opinion, was the fight at the Ministry of Magic. 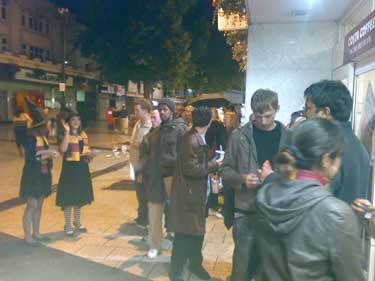 Slowly more people joined the line as midnight came near. Saleswomen were dressed in witch garbs and pointy hats distributing leaflets with prices for the book printed on them. The environment was wonderful to be in for any Harry Potter fan. Unfortunately, some jerks of the male specimen, thought it would be funny to proclaim in a loud voice that Harry Potter was gay. That got a very satisfying response [not suitable for children ^_^] from a lady standing behind me which made me giggle [in a manly way of course :P]. It was fun watching similar by-play between the people standing in the line and those just passing by and making fun of us. I also watched a movie of JF-17 aircrafts beating the crap out of Indian SU-30MKIs by Londo Molari on my mobile phone while I waited in line. That guy has got some seriously good animation talent! As midnight approached, people got more restless. The person in front of me had two girls with him [probably his daughters]. Their excitement was palpable. The activity picked up inside the shop too and the one guard and saleswomen got behind the counter after putting up copies of the book all over the store alongside notices about discounts on buying books in combo [with other books]. 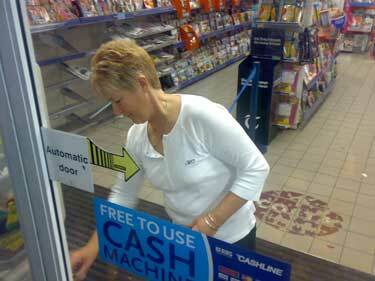 At about 00:01 (according to my watch), the doors were opened and people went inside the shop in a line to the counter. I walked to Senghennydd Hall and once I was in my room, I quickly offered my prayers which I had missed that day. Once I was in bed, I opened the book and started reading it till sleep took over me at around 150 pages. Overall, the day was very enjoyable and i had a lot of fun. From then on, I read the book each night [and even during the day when I had the time] until I had it finished. At the end of it, my opinion was that it seemed just like another work of fan fiction, probably from someone like Melindaleo who writes pretty close to canon. However, I did enjoy it to some extent. The next day was free so a couple of students from the group went out again to look at the city. 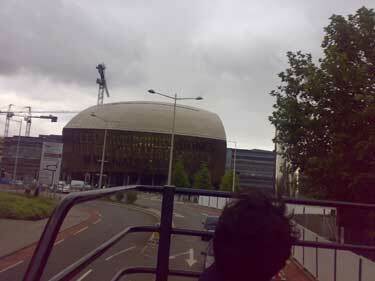 We had tickets for the city tour so we boarded one of the open roof buses from in front of Cardiff Castle. It took us across the city and bay area and the guide pointed out and explained the significance of various places and monuments. The city tour took a lot of time but it was very enjoyable and informative. There was a light drizzle and it soon became quite cold since we opted to still remain on the roof top. Around 15:00, we had some lunch and returned to our accommodations. Once we returned, we prepared for our departure the next day and spent our time talking and generally reliving our experiences. I slept very comfortably, hearing the Church bells tolling occasionally throughout the night. The next day, we boarded our bus to Surrey, where the University of Surrey was our next stop on this trip. 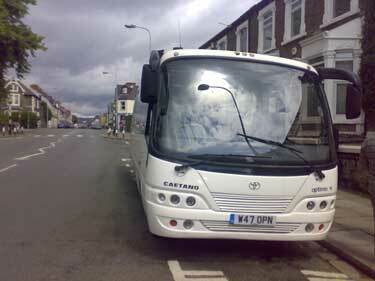 I reckon on this entire trip, the place I enjoyed most was Cardiff. It is exactly the kind of place I would love to live in; peaceful, welcoming, tranquil and having lots of sights and sounds to explore over time. In that, it seems somewhat similar to Islamabad, back at home, and I guess such feelings could be me missing my own city during the trip. However, the academics over there kill such a prospect for me since they weren't, in my opinion, up to the mark, especially when I compare them to University of Leeds, and later on, the University of Surrey. What sort of events are held in the Stadium? Is it just sporting, or do they host concerts and conventions, too? Or something else entirely? Did you hear people speaking Welsh on the streets and in the shops or was it mostly English? In Toronto, there are various neighborhoods that are predominantly one culture or ethnicity, and the street signs are in 2 languages like that. While English is spoken through most of Toronto, in these neighborhoods English was only spoken to shop cusomers. Amongst themselves, the people spoke their native language. On the streets in Cardiff, most people spoke English. At least, that's what we conversed in but I didn't pay much attention to the oral aspect of the language. In most cases (official or otherwise), I found English to be used quite frequently. Obviously, it depends on the region and the ethnicity of the people living there how much they show their culture. It just adds a beauty to the locale if done correctly. That is what multi-culturism is all about! About the dual languages, I would reckon it would be very similar to Islamabad, in that, here too we use both Urdu and English for nearly all information dissemination like signs, notices, etc. Since there are a lot of diplomats in Islamabad spread all over the city, this is certainly helpful to them and any tourists who might visit. A particular example of use of language I did experience myself was that I used Urdu to converse with shopkeepers of Pakistani, Indian, Srilankan or Bangladeshi descent since there were plenty of them there. And we did enjoyed it quite a bit. Switching from one language to the other in an instance depending on whom we were conversing with was good practise and more relaxing than limiting ourselves to English only. I wish I had the chance to use my French more when I was still fluent enough to get by. Perhaps I wouldn't have lost so much of it. It came in handy in Toronto, even though the area isn't "French" like Quebec. Many of the little shops throughout the city employed French-speakers, and I remembered enough to be able to rephrase a request if I saw them struggling (for lack of a better word) with translating my English. Mari will start a language in a couple of years, and I'm really looking forward to it. Regardless of what she takes, I'm planning on doing her homework right along with her. I really wish that language started earlier in schools here, or that language classes were more affordable. These days, Japanese classes are going on (since we have two faculty members from Japan) but I haven't signed up for them since I have little to no interest in Japan. An interesting fact: Majority of Muslims in Pakistan can read (as in recite) Arabic. However, few people actually understand what they are reciting. The people learn it for reading Quran but don't understand what they are actually reading! I reckon this is one of the major reasons why people call themselves Muslims but know little to nothing about what Islam actually says since they read but don't understand the Quran. They interpret the meaning as they see fit and cause confusion about various issues as they are told in the Quran. IMO, it is much much better to forego reading the Arabic and instead focusing on Urdu or English translations to actually understand what is being told to us.